Aside from daily stretch classes and a full body massage, we also give you the choice of an activity to do on the Wednesday, which is your mid week “day off” from being coached. We’ve teamed up with Experience Nosara to offer stand up paddle boarding and kayaking. You can specify whether you would like to glide down the river through the mangroves, paddle out to check out the waves at one of the off shore reefs in the area or allow Phillipe, Alan & Nate, your knowledgeable guides to take you to wherever they think will be the most beautiful given the condition that day. 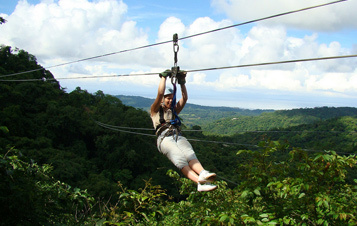 We have teamed up with Miss Sky Canopy Tours to offer zip lining as an option for your Wednesday, “day off” activity. This is not for the faint hearted as you’ll be hundreds of feet up in the air enjoying some beautiful views as you whizz between the hills around Nosara. Don’t forget to bring some lace up shoes for when you’re coming in to land though. During the green season you will also have the opportunity to swim in the waterfall. 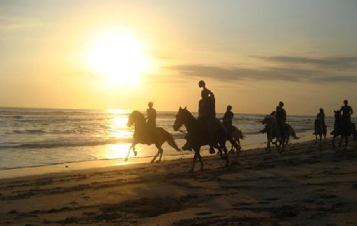 We have teamed up with Playa Ponies to offer horseback riding as an option for your Wednesday, “day off” activity. Playa Ponies is where Surf Simply coach, Jessie keeps her own horse, Ozzie. The stables take excellent care of all their horses, so you can feel good about riding these much loved animals through the jungle trails or along the beach depending on where your guide feels will be most picturesque that day. 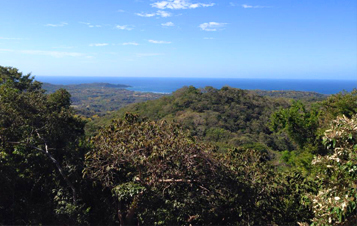 Barrí-Guiones are a local non profit working to replant trees deforested areas of Nosara including the beach front. You will be taught about the local trees and the challenges facing the project. 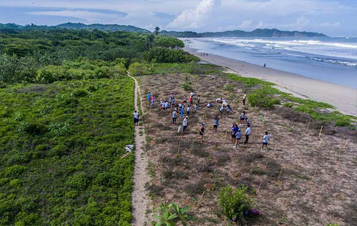 You will then be given the opportunity to leave your personal mark by planting your own tree here in Nosara. 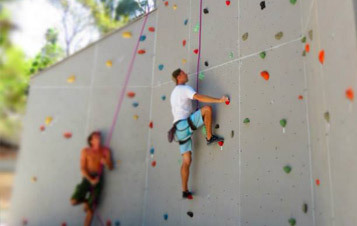 We have teamed up with Climb Nosara, to offer climbing as another Wednesday, “day off” activity. You’ll be taught basic technique and safety, and then be given the opportunity to climb increasingly difficult routes up Nosara’s new, purpose built climbing wall. All the Surf Simply coaches enjoy the climbing wall but no one has yet managed to complete the black route on the west face. Will you? You may like to visit the Nosara Wildlife Rescue Center. 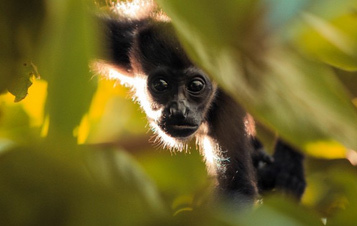 You will learn about Howler Monkeys and other wildlife in the area. You will be taught about how and why animals are rescued and be given a tour of the clinic. You will be able to get up close to all the wildlife at the refuge, like pizotes, squirrels, birds – a big macaw is very popular, and all the monkeys. You can feed the monkeys, take photos up close of the babies and learn everything about them. We have teamed up with Ricardo at Nosara Mountain Bike & Surf, to offer you the option of biking the trials behind the Surf Simply resort as another Wednesday, “day off” activity. You’ll be shown how to navigate the jungle paths which chase through the hills behind the Surf Simply resort. Ricardo will give you various options of trail depending on your experience and also he will give you the chance to push yourself if you would like to. 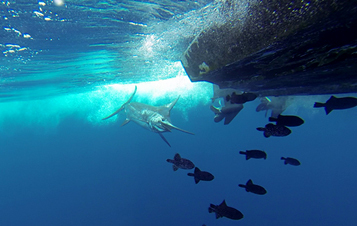 We have teamed up with Agua Azul, as well as several other local charter boat captains, so that we can also offer sports fishing as a Wednesday, “day off” activity. You’ll be out on the boat for about four hours, fishing 5-10 miles off shore. Common catches include Dorado, Sail Fish and Yellow Fin Tuna. A minimum group size of 4 people is required to charter a sports fishing boat.